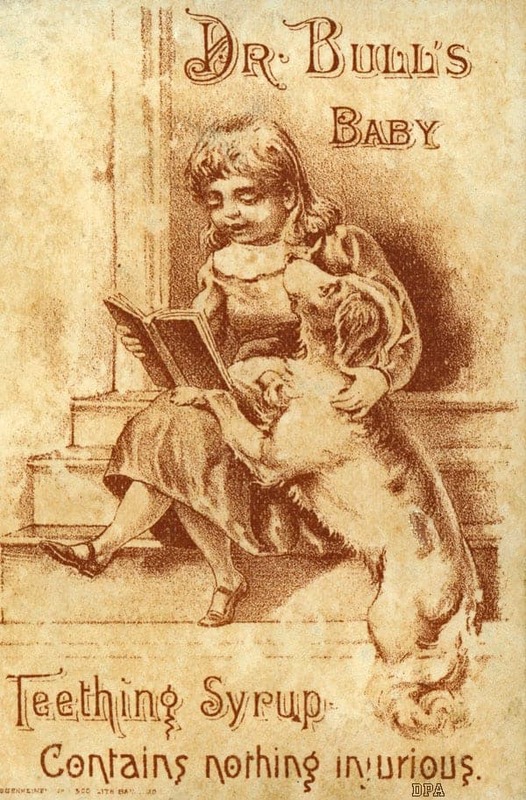 Victorian trade cards were the first form of mass produced color advertising. They were most popular during the Victorian era of the late 1800’s and were used to promote one’s business or trade. Most often the artwork on the card had no relation to the service or business it was promoting. They were often collected and put in scrapbooks. As a result, many thousands survived and are available at reasonable prices. Many dentists gave out trade cards, often with their fees printed on the back. Patent medicines were very popular at the time and were promoted as well. Dr. Thomas’ eclectic oil, which cured everything from toothache to lameness, was one of the most popular. Also popular were gargling ointments and teething cures such as Winslow’s Soothing Syrup (which contained cocaine and harmed many infants). I am Mike Danley, retired RDH and I am the owner/operator of Dental Poster Art. I have a staff of one (myself). I started this site to share the great artwork that relates to dentistry. Feel free to contact me with requests or custom sizes. I print 95% of the posters myself and can print on canvas as well. Hope you enjoy the images and my blogs.